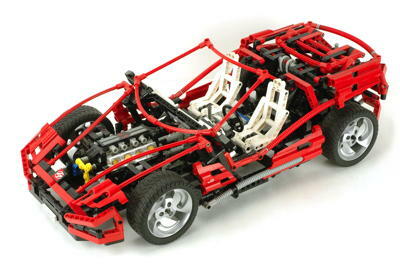 The auto chassis sets and "Super Cars" have always been the pinnacle of Technic design. 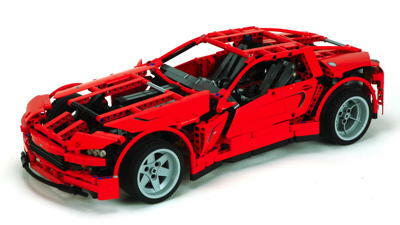 They offer the most features, the most parts, and the state-of-the-art at the time they were made. 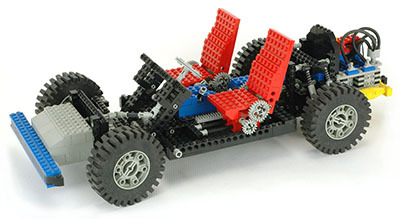 They progressed from a bare chassis to highly stylized and functional vehicles. There seems to be a bit of a bias towards red. 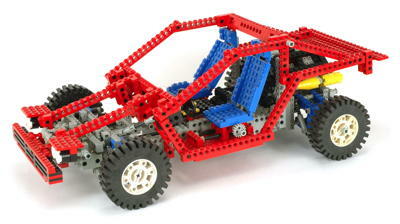 Most of these cars feature 4 wheel independent suspension. 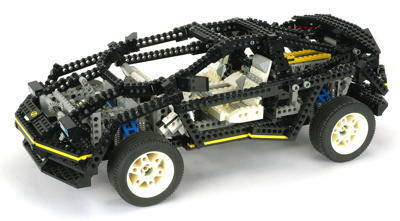 All have rack and pinion steering, and 8880 even takes this to all 4 wheels. 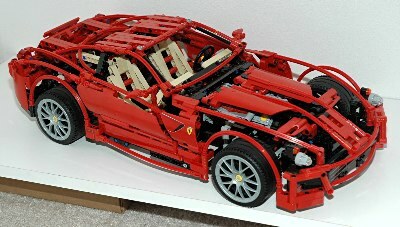 The true supercars all have variable speed gearboxes, 3 of which are synchronized. One features all wheel drive with 3 differentials! The first 3 have adjustable seats. A finally, the most current feature incredible styling as well. 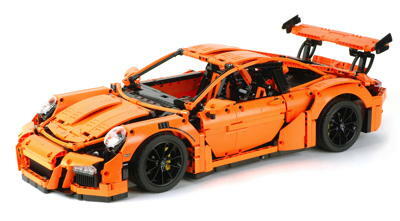 In 2016 a new "Ultimate" series was begun with the 42056 Porsche. This series is intended to appeal to a wider audience with a larger scale (1:8), more realistic scale styling, deluxe packaging , and an instruction manual with data about the real car. 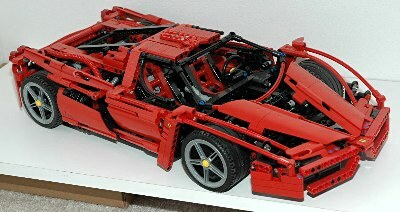 The Ferrari models are not really Super Cars, and are arguably not even Technic (they are part of the Racers theme), but I chose to include them because they are of the same scale and detail level as the others. So which one is the best? 8880, hands down. There is not really any question about it, so don't even bother arguing with me.